A carpet & upholstery stain removal guide for the most common stains found on houshold carpets & upholstery. I have been cleaning carpets & upholstery for many years and often asked to remove the most difficult carpet and upholstery stains. Carpets & upholstery are a large financial investment and in busy housholds it will often happen that stains and spillages will ocurr due to accidents often cause by many differnt reasons, but often due to children and pets. Check out the stain removal guide to help remove stains to carpets and upholstery. Do carpet stains always come out if treated by a professional? Many stains will come out during the coarse of cleaning a carpet or upholstery without a problem. However some stains can be permanent due to the colour of the carpet or upholstery having been changed permanently. Dying can also occur due to tannin in tea and coffe or food colouring in food stuffs. How to remove Tea and Coffee stains in carpet. One of the most common stains in carpet are tea and coffee. Read more about the article by clicking the button below. How to remove pet urine from carpet. Pets will most certainly have accidents at some stage in the home. 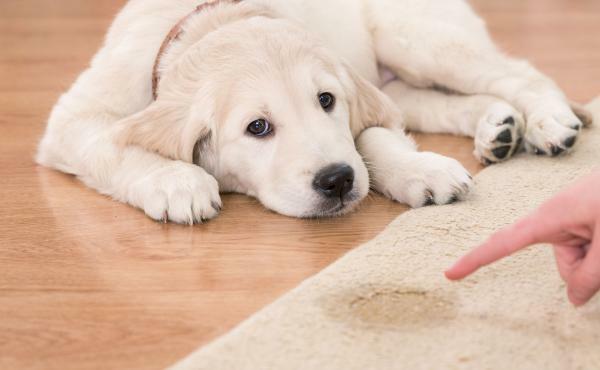 One of the most common being pet urine stains and smells. These can be one of the most difficult types of stains to deal wth. Black marks around edge of carpets. Black marks around the edges of carpets are an all too common problem. These marks can also appear towards the middle of the room. Thes marks can be very unsightly and can ruin the looks of an otherwise lovely carpet. Many carpet stains are caused by water seeping into the carpet which has leaked or been flooded by water. The cause of this type of carpet staining is often from leaking radiators, roof leaks, drinks machines and also plant pots. Some of these stains will come out, but sadly wool carpets can often become permanently damaged to prolonged exposure to water. Sometimes after cleaning upholstery and sofas, the fabric can sometimes turn pink. This problem occurs due to a change in the PH of the fabric. 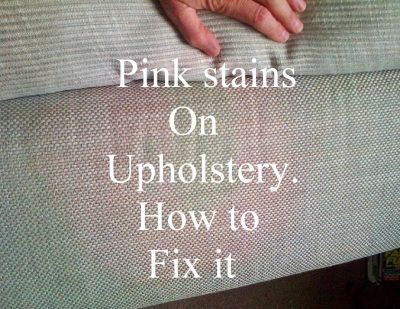 Find out why pink staining to upholstery occurs and how to correct the problem with step by step instructions.